With that in mind and the Open just around the corner we have felt an urgent need to bring to you the five best golf courses that may never host the Open Championship. 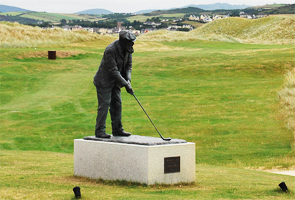 Old Tom Morris was the original architect of Royal County Down and since it was opened in 1889 it has been modified by legends of the game including Harry Vardon and Harry Colt. 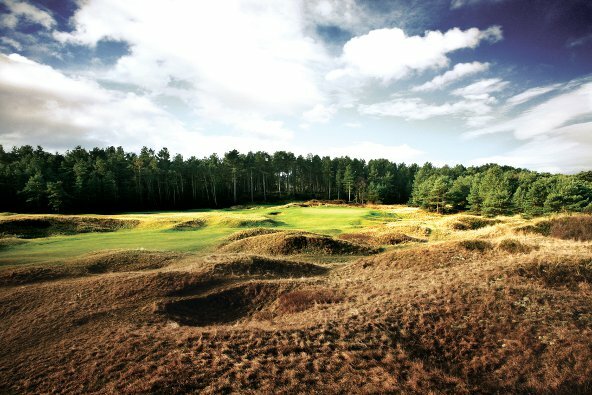 The patch of land that was handed to Old Tome Morris was a thing of beauty and the course has been carved through vast, rugged dunes laden with gorgeous purple heather and yellow gorse. The fairways are composed of perfect, sandy links turf and the min boggling undulations have been sculpted by the hands of time. Measuring more than 7,000 yards from the back tees this magnificent course can be a bit of a brute and requires solid ball striking and precision from the fairways. The small greens feature wicked little hollows that gather errant approach shots and leave the golfer facing a tough two putt. 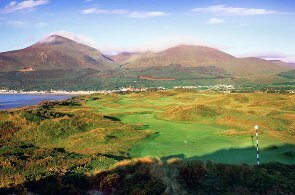 The Slieve Donard peak casts its shadow over the course and from many of the holes golfers are treated to stunning views. It is difficult to imagine how such a fine course has not yet held the Open Championship…surely it is only a matter of time. 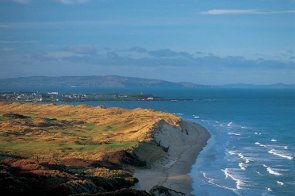 Situated in the beautiful Harlech area in the north west of Wales, Royal St David’s resides between the rolling hills and the Irish Sea on some of the most spectacular land ever to have been graced with a golf course. 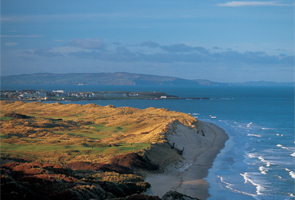 Established in 1894, Royal St David’s Golf Club is one of the finest traditional links courses in the world. The undulating fairways and fast, true greens are all that would be expected of a championship links course that sits under the watchful gaze of Harlech Castle. Perhaps the only factor that has prevented this course from welcoming The Open is its length. Measuring an old fashioned 6,500 yards and playing to a par of 69, Royal St David’s will surprise even the most talented of amateur players by presenting a tough examination of accuracy and course management. 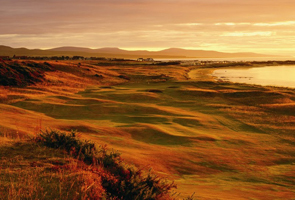 Royal Dornoch is a real heavyweight of Scottish golf and can genuinely stake a claim to be one of the very best golf courses in Scotland and therefore the world. The Championship Course is the main attraction and has enjoyed a Royal status for over 100 years. 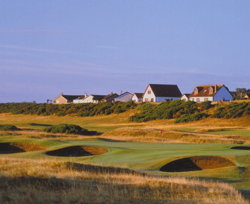 The strengths of Dornoch are simple; it is an out and out classic links; remote, rough and raw. The course bares the signature of the legendary golf course architect Donald Ross who has brought the world many other world class golf courses including the revered Pinehurst #2. Stretched over natural, wild terrain, Dornoch is a joy to behold and in the summer months the flashes of yellow gorse makes it a truly beautiful course. 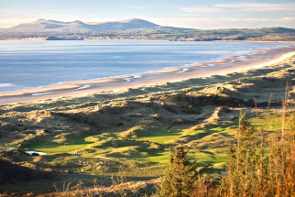 Don’t let its good looks fool you though as Dornoch is a stern test of golf, especially from the fairways where the golfer has to play into raised greens that place an emphasis on deadly accuracy. If you can muster the energy to get this far north you simply must play Royal Dornoch, the third oldest golf course in the world. Herbert Fowler’s East Course at Saunton Golf Club is ranked just outside England’s top ten, and at 6,700 yards it provides a stern test to even the most skilled golfers. 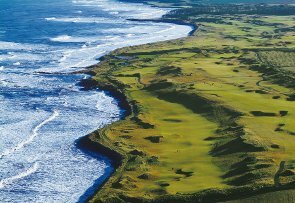 The sandy, links turf fairways are cut through towering sand dunes that provide a daunting feeling of isolation on each and every hole. The great Harry Vardon was a big fan of the East Course and said, “I would like to retire to Saunton and do nothing but play golf for pleasure.”A round here will be sure to thrill any golf enthusiast but beware; scoring is very difficult as there are no less than eight par fours that measure over 400 yards and depending on the wind, some of the par 3s will require a mighty crack with a wood to get near the green. Set in an area designated by UNESCO as an area of international importance, Saunton is a diamond in the rough and a must on any golf tour of Southern England. 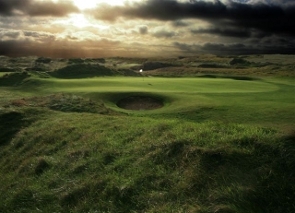 It may surprise golfers who have played the magical course at Kingsbarns that it was designed by an American architect but Kyle Philips arduously studied existing classic links courses including Royal Dornoch to ensure the course was built to the highest standard. Moving thousands of tonnes of earth, Philips has somehow managed to sculpt a course that seems as if it has been lying on natural terrain for hundreds of years. 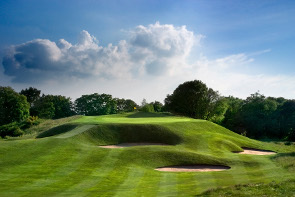 The mindboggling undulations provide a truly stunning golf course from which golfers can enjoy breathtaking views of the North Sea from almost every hole. Despite its youth, Kingsbarns is regularly mentioned in the same breath as mature classics like St Andrews Old Course, Pebble Beach and Muirfield. Countless spectacular holes make choosing a favourite difficult but if one was forced to do so the par 5 12th and the par 3 15th would be strong favourites. 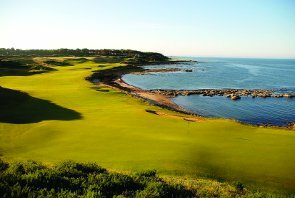 Situated just six miles from St Andrews, Kingsbarns was under pressure to perform when it opened in 2000 but since that day it has wowed golf fans from all over the world and will continue to do so for years to come. For any golf aficionado, Kingsbarns is an absolute must-play. Now that you are armed with this list make sure you add these courses to your golf bucket list and the nest time you are on a golf tour of Scotland, England or Wales be sure to pay one of them a visit. Print article This entry was posted by Rory on June 30, 2011 at 12:21 pm, and is filed under General. Follow any responses to this post through RSS 2.0. You can leave a response or trackback from your own site.